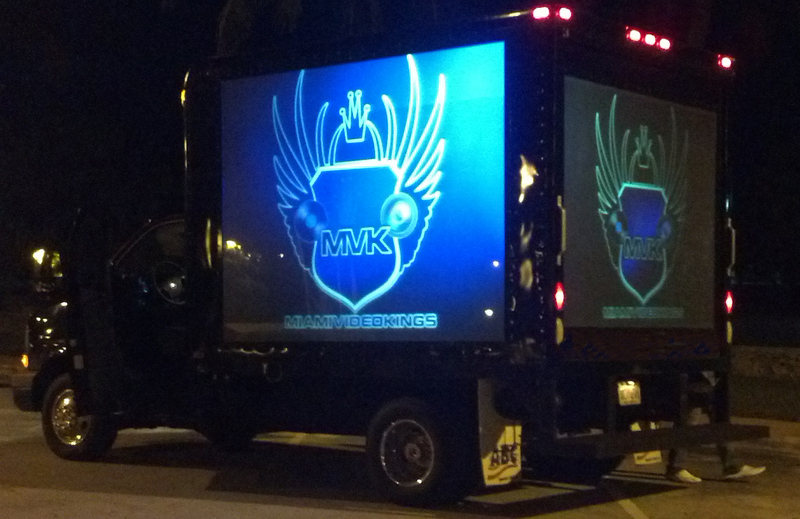 MiamiVideoKings Mobile Video Trucks are available for Private Bookings, Special Events, Nightclubs, Radio, Trade Shows, Brand Exposure and Corporate events. 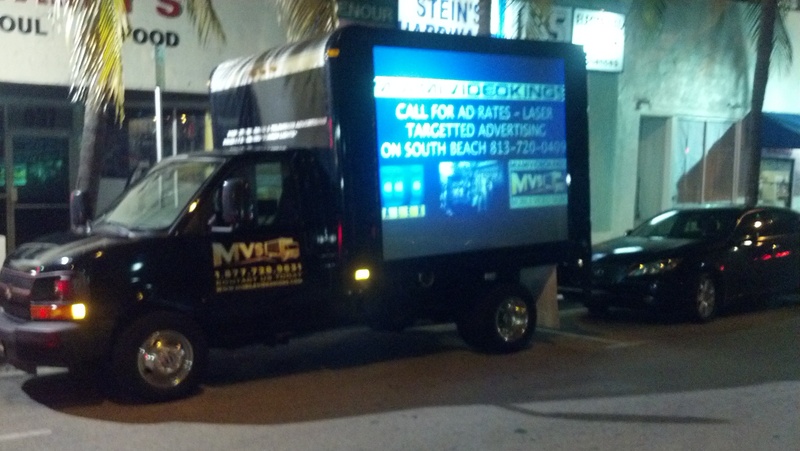 We currently run a special Advertising Campaign on South Beach every Friday and Saturday Nights that Features several Nightclubs and Corporate Advertisement is a special Ad Rotation format with several Video Ads rotating throughout the Night. 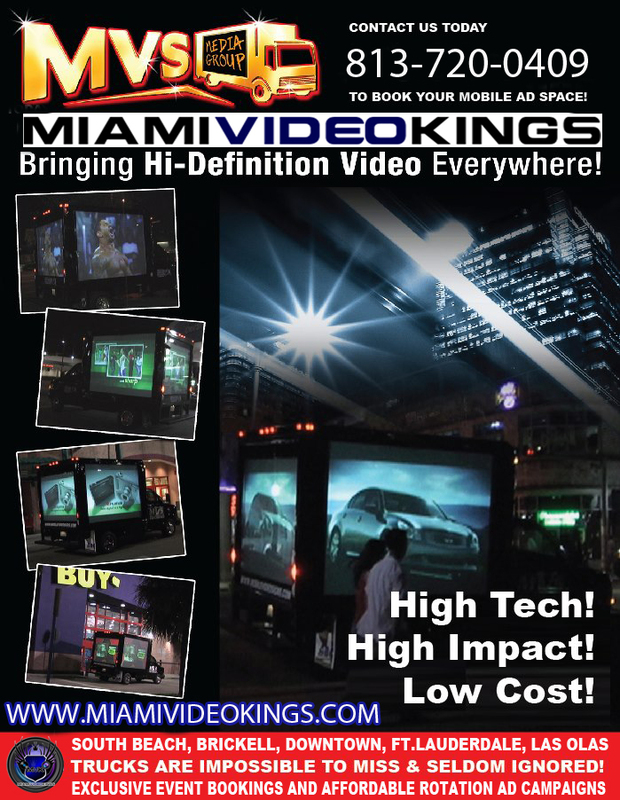 For more in depth information, Booking Rates, and Availability, Call 813-720-0409 or log on to our webpage and check us out.